It’s said that words have meaning. Nowhere is that more accurate than when three words are bandied about as paramount public administration virtues: truth, honesty and transparency. What might these words mean for professional practice? 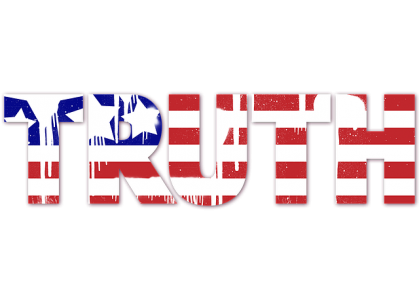 Truth … what is it? When asked what the truth was, a public administrator of imperial Rome sarcastically retorted, “What is truth?” Historically, Pontius Pilate’s retort has been judged to exemplify a crude form of skepticism. That is, truth doesn’t exist or assuming that it does, it’s relative. In either case, who cares? Susan Paddock disagrees, recently asserting that what’s needed, “Is not only to tell the truth but to confront power with power—telling truth to power.” Public administrators, “Must discern truth from fiction, tell the truth when we see it … ” Is that sage advice? Kant would respond “absolutely.” Reason dictates that one should “act only according to that maxim whereby one can, at the same time, will that it become a universal law.” As Ellington notes about Kant’s categorical imperative, it’s superior to any culture or any era and correctly identifies subsidiary matters—like situation and circumstances—as irrelevant. Simply put: duty demands obedience to the categorical imperative and telling the truth means “the whole truth and nothing but the whole truth … all of the time.” To conduct oneself otherwise isn’t virtuous. Aristotle disagreed, arguing that although the truth is a fixed quantity, how a public administrator tells the truth honestly and transparently falls somewhere along a continuum—a “Golden Mean”— between two excesses depending upon situation, circumstances and intention. Being too honest and transparent represents a vice. Likewise, not being honest or transparent enough also represents a vice. Public administrators must be deliberate about the truth as well as the situation and circumstances. They must intend to communicate the truth honestly and transparently, to the degree that’s possible given this situation and under these circumstances. Aristotle was no skeptic: truth is knowable and transcends time. Furthermore, telling the truth always is the best policy. But, Aristotle was no deontologist: honesty and transparency require flexibility, as the situation and circumstances require. Be open and transparent while protecting privacy rights and security. Recognize and support the public’s right to know the public’s business. Involve the community in the development, implementation and assessment of policies and public programs, and seek to empower citizens in the democratic process, including special assistance to those who lack resources or influence. Assist members of the public in their dealings with government and respond to the public in ways that are complete, clear and easy to understand. Promote timely and continuing dissemination of information about government activities to the community, ensuring a fair and transparent process and educating citizens to make effective contributions. Note that these practices offer a roadmap identifying the destination (the “end”) and not the directions (the “means”). Why? Deliberation is a matter of determining what the truth is and being honest and transparent with followers, constituents, and constituent groups as the situation and circumstances require. Factoring those differences into the decision-making process is a critical element of deliberation, a process that cannot be reduced to an “either/or” categorical imperative. Explicit directions would limit the discretion needed to identify the Golden Mean. Discretion isn’t a “private” matter, allowing a public administrator to withhold the truth. Instead, it’s a “public” matter, requiring the truth to be revealed to those who hold the right to be informed of it, with due regard for matters that are confidential or best not revealed for a good reason. Thus, when a public administrator is challenged to reveal the whole truth, an ethical response depends on what followers, constituents, and constituent groups are entitled to know. It’s that latitude—discretion—which contributes to what makes public administration an ethical profession. Public administrators must ask what is the truth, just as Pontius Pilate asked, but without succumbing to the skeptic’s error. In discerning it, they must also ask what do honesty and transparency require without succumbing to the deontologist’s error. Author: Richard M. Jacobs is a professor of Public Administration at Villanova University, acquisitions editor of Public Integrity, and chair-elect of the ASPA Section on Ethics and Integrity in Governance. His research interests include organization theory, leadership ethics, ethical competence and teaching and learning in public administration. Jacobs may be contacted at [email protected]. I would just add that very often the truth is difficult for an administrator to know. It’s often very difficult to obtain the relevant documents or the necessary data from multiple agency computer systems. Before my retirement, I was on the receiving end for data requests for my program area and I know how difficult it can be to obtain the information to properly answer these requests. And not all agency data is necessarily accurate. An administrator could be reporting truthfully but still be wrong because of data inaccuracy. I also observed “spinning” the facts, especially overemphasizing favorable information. That’s a huge problem in government. But the Inspectors General, the GAO, the Congressional committees, and the press seem to do the opposite — overemphasize negative information. Thanks for this helpful and well-written article. In my work on ethics with federal executives, I have found that they struggle not just with what “truth” is and requires but with what constitutes a “lie.” When they cannot identify what a lie is in a given situation (e.g. is spinning a story a lie? using selective facts to make a case? withholding information? etc), they sometimes convince themselves that they are being truthful when they could be much more so.